We have been too busy noting the much larger number of cold records...you should read that thread. 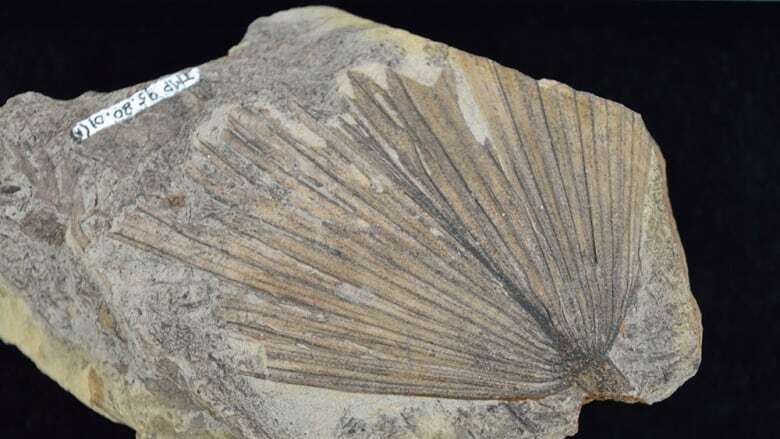 A researcher identified a new species of small palm that once grew in Canada after examining a fossil that had been part of an Alberta museum collection for decades. Palms are typically associated with warm, tropical climates. However, this newly discovered fossil indicates that palms grew much farther north than previously thought east of the Rockies. Well well well, the CBC just put the whole man made global warming thing in the grave and you didn't even notice. People with Liberal arts educations which don't seem to comprehend factual data are not really qualified for leadership are they? Last edited by Danbones; Sep 17th, 2018 at 08:19 AM.. Yes - we broke a couple of heat records this summer. Did you pull you head out of your backside long enough to notice them? Sure summer tends to do that . I saw Ogopogo on Wednesday and the Sasquatch last weekend . Did you see the global warming Edmonton is getting ? The fossil above was from Edmonton. Nope. I don't usually respond to strawmen. Stick to your Jewish conspiracy theories. You are clearly out of your depth in any scientific discussion. So you can’t refute his arguments. Best resort to character assault instead .